John Payne And thats what customer service is about. Everyone makes mistakes, its how you fix them thats makes the difference! Others would do well to follow Bretts example! I would like to thank you very much for this order. I am amazed at the absolute super fast delivery. ★★★★★ “ Exceptional pricing, quality filters, overnight delivery, plenty of literature both online and supplied with products. Tax invoices with each purchase. I for one will be using this company as my 'go to' for everything they can supply. Brett's Truck Parts & All Filters FUSO HINO Isuzu Nissan UD Mitsubishi. Hi Bretts, please pass on to Warwick and the team the good service I received last week. I got my Toyota Coaster back on the road within five days. ★★★★★ “ I love dealing with Bretts truck parts. They usually have the part that I need, and they can get it to me quick. I really like using online store to have a look at what is available. If only all stores were as good as this one. High quality filters at a fraction of the price of genuine ones and incredibly fast postage, they must have a contact at AusPost. Great product (5x JS Asakashi Filters) at a great price. Fast delivery. Have used Brett's truck parts in the past and will continue to. Bought a rear wiper for my Subaru Outback for a great price, dispatched in one business day, received the product in WA from NSW in 5 business days (standard postage time). Great OEM quality product, will definitely buy parts from Brett's Truck Parts and All Filters Pty Ltd again. Only improvement thing I would have liked to be sent to me was the tracking number (the eBay description didn't say it was going to be sent, but the package did have tracking). bretts parts--dear sir--air cleaner arrived sat am--for baby subaru--grandmas car--hard to find in nz--bloody brilliant service--thank you--gary w--NZ. Just to say the packaged arrived yesterday, thanks. I would like to say that your service is second to none and I will be recommending you to others here in NZ. I received my parcel faster that I would of from anywhere in NZ and the parts are exactly as described. Again, many thanks and keep up the good work. I received my order this morning, and just wanted to thank you guys for a great service. Fast, efficient, reasonable prices, and easy (especially when trying to source parts in the city). “ Totally impressed yet again, Super fast service and the correct sets of filter kits sent to us. The more I bought the cheaper it got. Then I got the word of mouth code and it was cheaper again. For my first order -all I can say is WOW. Why shop around at all the retail outlets and pay double this. Good filters. Thanks for the extras - the lube stickers, and the cute truck! An awesome first purchase. Shows you think about customers. Hey guys, thankyou for the super quick delivery, you got me out of trouble. I read the flyer and have also left a recommendation on word of mouth.com for you. Thankyou again, I'll definitely be buying my filters from you guys from now on. Cheers, Matt. Thank you for your excellent service in regards to our order. Will certainly keep you in mind for other equipment for not only our vehicles but friends rigs as well. Side light/blinker lights, Left/right, one screw each side with electrical socket, perfect fit. Problem. Wiring completely different auto electrical knowledge required to rewire. Seat belt, drivers side, The original fits in the door reinforcing pillar, with cover plate. Fixings are top and bottom with web wound through guide to allow access back into the cab. Your generic belt does not replace this configuration, and cannot be fitted in this configuration. I have resolved the issues, my concerns are two fold, one to inform you of possible problems to avoid customer dissatisfaction, and two, to advise me if the 2000 model is a bit of a "Hybrid" I know Toyota started to become very interactive with the Delta before superseding it with their own brand. Like your website, sales and delivery are great, your range is great for older light truck operators, sure we will do business again. ★★★★★ “ Bretts Truck Parts are very good value because their pricing is the most competitive I have found. The brands that they stock are quality brands and the delivery of items are so quick, I placed an order,arrange payment and immediatley I receive an email stating the order has been filled and is on its way. My business is located north of Brisbane & the order arrives in 2 days consistently. It is a nice little touch of Bretts that they place a small gift ,usually vehicle fresheners in the parcel too. Keep up the good work and attention to detail. A Committed Customer. I ordered a part from you guys recently for the first time, thought I should take the time to thank you and your staff for your prompt and excellent service, I am in Western Australia and have ordered heaps of different things from all around the world, and this is the first time I have replied to a company for their prompt and excellent service. Well done Brett’s trucks ,please keep up the good work. Too many companies forget customer service and wonder why their business goes downhill. Again I say well done, Brett’s trucks is one of the last of the true Australian businesses we have left. Subject: Re: What Did You Forget At Brett's! Thanks for the business and goodies too. I have received the package yesterday. Once again thanks for the business with you and your Company,looking forward to do business again with you. Subject: What Did You Forget At Brett's! Whitsunday diesel fitting. Just wanted to let you know parcel was recieved today. Thank you very much. Or dealings with Bretts trucks has always been spot on. Thanks again. Brad Cronin. You are my go to people for anything like this. I appreciated the advice when I phoned as well. Thank you very much for the beaut service, really appreciated. Now just an example of your good service, nowhere can I find anyone who provides such a service being able to purchase all the filters at once here in New Zealand, plus get delivered within a week of ordering. So a big thank you, plus s than you for the smellie for the vehicle. Not too keen on the vanilla flavour, but it still very much appreciated. They or he, being Rosco, (Ross Moore) own and also supply mining machinery for other mines. Employing over 90 workers, heavy earth moving machinery, Volvo 40 ton Wrigley's, Hitachi diggers, from 5 ton to 120 ton, that is a lot of filters to replace in the servicing schedule. The parts ordering manager it's a bloke named John. On 6 Jun 2017 12:34, "BRETTS TRUCK PARTS ORDERS"
This is my 2nd purchase both deliveries were prompt and correct part first go, great for older model trucks. Just a quick thank you for the great service and quick post etc. I received them on Monday morning which is amazing. Your service is an excellent no hassle pleasure. Product was exactly as it was described online, arrived in the time frame quoted. Catalogue was included in packaging and the scope of the products they hold and the quality is impressive. Will be buying from them again. These guys are the best around. Super quick on delivery. Would recommend to anyone. Keep up the good work. Service kits are second to none. I have now found where I will be purchasing all filters for my personal vehicles. Local jokers seem to get it wrong every time I carry out a service, and I'm sick of chasing up correct parts when supplied the wrong ones. Brett's Truck Parts sent me the required filters quickly, and I'm very impressed with the quality. I'm a retired mechanic, and quality service is important to me. Thanks Brett's Trucks, you have a new customer in me. Just letting you know my order has arrived, Very impressed with your service. I have posted this review on WOMO for you. Excellent service. Good communication, Advised receipt of order. Advised when dispatched. Prompt postage, very well packed. Order complete as ordered. Two complimentry mudflaps and other gifts. Absolutely brilliant service !!!!!!!!. Speediest delivery! It was there the next day. Excellent price on the items and a generous collection of other useful items; a notepad, highlighter, oil change reminder sticker and a further discount voucher for the next order. I will definitetly be a returning customer. Bought an Australian manufactured clutch kit for less than half the price listed from the cheapest seller on Ebay, which is mindbogglingly good. Shipping was free and product arrived before ETA with an abundance of useful freebies and a detailed tax invoice. Installed the clutch kit the day before yesterday and it is a perfect match and works superbly. My only regret is I never found you guys earlier! Great web site and easy to navigate. Very comprehensive listings - especially those looking for Perkins filters. Great prices and super quick delivery. And the little one loves the extras :-). Highly recommended, beats eBay any day. I ordered a fuel filter, air cleaner and oil filter for my ute from Brett's Trucks after going to my local dealer in Brisbane. Cost from the dealer was in excess of $250, which blew me away. So I went looking on the web and found these guys. Well blow me down not only did Brett's supply all items (get this) FOR UNDER $85 but the filters arrived in 3 days. Great quality, great price and great service. Says it all really,hey! Proper vehicle listing, model no. year, engine type and size. Clear photos and description of part. Good delivery times. Brett s truck parts goes to the top of my list. Just a quick message to wish you and all the Team at Brett’s Trucks a great Christmas, and a very prosperous 2017 and beyond. You supply great products, and the service is absolutely brilliant. Congratulations!! Just wanted to say thanks for the incredibly quick response and delivery of my order. Will certainly be dealing with your again. Just letting you know that my parcel turned up this afternoon, how’s that for speedy delivery! We've just bought a part for our old Daihatsu Delta from Brett's that we were told was unavailable by other people. Part fits perfectly! We paid the highest postage as it was urgent, it turned up within hours - first class company to deal with! An awesome service an rapid postage. Thanks for all the goodies inside aswell! Outdone Ya selfs I tell Ya. That's customer service. A genuinely good business. Not my first order, and certainly won't be my last either. Their products have never disappointed. Always prompt with delivery, well packaged, great discounts, promos are a welcome added bonus. Packaged extras are always a pleasant surprise! Writing to tell you how much we appreciate the service you provide and that you use Australia Post for your deliveries. We have used you for most of the parts for our Japanese trucks. have had lots of rain. We did try other suppliers (Supercheap) and in some cases the price was cheaper for parts but they were let down by their Courier Service and the Courier Services local agent in Goulburn. did contain a suggestion as to their lineage and IQ. As a comparison, we ordered a clutch slave cylinder from you around lunchtime on Sunday 24 July and it arrived with the mail in our letterbox this morning. PS – also appreciate the little extras such as the note pads and the service stickers. PPS – also emailed Supercheap about our experience but haven’t received a reply and in all probability will not receive a word or apology. Your parcel arrived Monday morning. Thanks for the prompt service. I had ordered on the 27th of june. Which was really quick. website but could not find a comments section. Unbelievably fast delivery to my front door no having to wait around, great price and even a 15% off voucher for next purchase. couldn't be more impressed and would like to support them and the idea of a review site. If we all do this allot of businesses will have to lift their game to stay competitive. Have dealt with them a few times over the last 4 or5 years,great with service with fast delivery. Great product and fast delivery to Melbourne. Great communication - would highly recommend! Thank you very much to Mitsubishi 6D15 parts. Products are now here in Finland. I have to two question, do you know what is 6D15 engine to cylinder head The tightening torgue? And injection nozzle pressure opening, nozzle is: NP-DLLA160S295N 422 (ME036781)? Even though I wanted an odball part for my old Hino Bus. Bretts had it in stock. I live in a country area, but the part arrived within a short space of time. Bretts even gave me a discount and I only spent $23.18 including postage. I will definately use them again. BRETT'S IS ONE OF THE FASTEST AND EASIEST TO USE BUSINESSES I HAVE FOUND TODAY. THE GREAT PRICES AND SERVICE WILL BRING ME BACK. Thank you so much the part arrived fitted and truck back on the road. Will pass your number around was so happy and with the no hassle service and help. Good to deal with people that no what they are doing. Send me up so business card will pass out in the kempsey area for you. I write to advise the below mentioned order has been received. All goods are intact. Thank you for the prompt delivery and thank you also for the gifts. It has been a pleasure doing business with you. I look forward to the next opportunity. Have used Bretts online service twice now, found items easily from catalogues. Parts were delivered promptly and well packaged. Just received the mirror, thank you. Very impressed! I will be sure to tell others of your organisation. Bought from Brett's Truck Parts over Ebay. I had average expectations, but they far surpassed my expectations. Product was perfect as i would have assumed, but the packaging and extra little things they thought to 'add value' were extremely thoughtful. Thank You Brett's Truck Parts - I Will highly recommend you. Your service and delivery is Excellent. I am very happy !! Thank you to the team at Brett's, parts arrived well packed with some extra goodies. Will be ordering for my next service. and the Valves arrived yesterday !!! Thanks once again it, is great doing business with you !! Part arrived at my place in NZ today. You guys are legends!!!! Thank you for your fast delivery of my 5A Foam Gun ,Recieved on the 11th and it works Beautifully and Looks just like the Gilmour Foamaster II i am very happy ,Thank you. Subject: RE: Quote for clutch kit. Thanks for excellent service. Its a breathe of fresh air to get service like this. Well done. I will be dealing with you into the future. I cant believe the speed of your service - the parts arrived Monday morning after placing the order on the weekend. I would like to thank you for your product and good postage and to let you know that I have recommended you on 6 of our facebook camping and travels sites below is what we have stated even on your own facebook page, along with pictures. (We would like to give everyone the thumbs up for Brett’s Truck’s we were finding it hard to find parts for out Mazda T3000 1982 home and my misses came upon this great company and they are Brett’s Truck Parts & All Fliters at Berkeley Vale NSW. We were after a right hand blinker for our home and loan-be-hold they had them so on Thursday we ordered the goods and they were sent on Friday and we got them 2day Wednesday fast and fabulous service. We highly recommend this company to all travellers; you will never know what you can find there. Our part came brand new & it even had the globes in it, below is a list of what we received with our blinker plus pictures. I received the goods yesterday 2 PM, must be some kind of record! I’m letting you know the brake slave cylinders supplied the other day where correct and all fitted. Our customer very happy with the price thanks to you guys. Just wanted to say Thank You, I was out side winterizing things (yes the polar vortex is supposed to harass us again this year getting to the point I wish I could hibernate). Any way I heard a diesel engine coming down the road and it stopped at the end of my driveway. Kina scratched my head and went out to retrieve my package, to my surprise it was from you!!!! Opened it up and there they were the filters I had ordered. There are things I buy off E Bay and don't get that quick thanks for your excellent work the world needs more people like you. Hi Guy’s received my order ( Tax Invoice 230391 ) yesterday afternoon, so sorry for the late ( Thank You ) it’s really great to deal with a local Company that values customers, and have staff that know their product, once again many thanks for getting out my small order. Just a quick note to say I received the filter in good condition and time. I got a good chuckle out of the Butthead and Rhianna gif on the site. Thank you so much. That freight total is fantastic. You guys are great to deal with. I will pay by PayPal today. Is there any chance we could get an account with you? Parcel arrived today . Thanks so much for your prompt and professional service . I have completed the "womo" review but needed to thank you directly . I wish all business transactions could match your prompt and efficient delivery . Will not hesitate to recommend you guys . Hello, Folks. I ordered 4 cannister oil filters for my Mitsubishi track excavator MS 070, which after weeks of searching in the USA, I was unable to locate. I found Bretts on the net, and YOU had the exact filter I needed, and I order 4 of them and they arrived in 2 days. They are exactly perfect fit for the application. I gotta say THANKS BRETTS !!!!!!!!! for the GREAT service, and the correct parts. Didn’t expect the order before Monday!! Just received the clutch kit for our F100 today (so quick! )and it looks good – thankyou so much for your help and rapid response – we will certainly recommend your company. Just a quick note to say thanks for your promt service,well done.Regards Rob. Sunshine Garden Bags. It is not often that you receive such good service that you feel you must tell someone about it. I have made several purchases and although not what you call a big client by any means I follow your email specials as a matter of course. In December 2013 I made an online purchase of 3.8 Litre Purple Polish and was advised it had been despatched on 21st December 2013. Sadly it did not arrive and eventually Australia Post Tracking showed it was being assessed as it was damaged in transit. I contacted Corey last week (I think it was Tuesday) and he said to leave it with him to follow up. He indeed did do so and rang me on Wednesday saying he had spoken with Australia post and the parcel was severely damaged. On Thursday he rang again and advised that he had arranged for a replacement to be couried from Brisbane and this arrived last Friday. How good a service is that?. Corey was most helpful at all times and if your Organisation has a National Employees of the Month Award he certainly deserves to be awarded (and rewarded). Please pass on my sincere thanks to him for such outstanding service. Just want to say the Clutch part arrived just now. 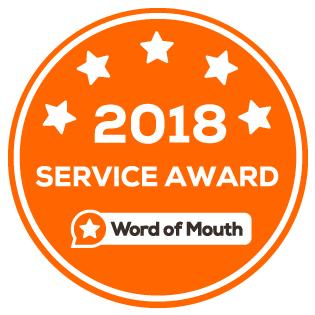 A big word of thanks to your systems and staff for the quick professional service. Put in an order with you last Thur and it got here today [ Tues ] Bloody amazing thanks guys. Inv # 216759 with Corey’s name on it , thanks mate, things don’t normally happen that quick up here. Prices are truly fantastic, and the box had lotsa Xmas goodies as well. If that smile with Brett’s name is the chief then good on ya mate, I couldn’t be happier. Thanks very much for the promo pack you sent with the lens kit. The postage was excellent and arrived very quickly. Quality product, at a great price. I was very satisfied with your customer service. only ordered yesterday,arrived this morning,great service. thanks everyone.ORDERED 2 nissan filter kits and look exactly the same as genuine filters. I was very happy with the whole experience of dealing with Bretts Trucks. I found their website is excellent and easy to navigate. The whole process of buying parts over the i/net was made very simple.They are good to deal with, great value. Thank you very much. I will defiantly use this business again. It is remiss of me to have not sent you a not thanking you for the immediate response to my problem. I must say your service is fantastic and yes the replacement glass bowl was packed so well it took 2 days to umwrap. We spoke yesterday on the phone, I ordered a clutch kit, spigot bearing and alignment tool. I received the Goods Today, shipped to my work address at Crestmead, that is fantastic. However I did not get any invoice included. Would you be so kind to email this to me. Thankyou so much for your prompt service. My steering damper was near impossible to source elsewhere let alone the hardware to attach it. Thank you for a very enjoyable transaction and a great product. On 21/06/2013 12:18 PM, "BRETTS TRUCK PARTS ORDERS"
will be telling everyone i know with a truck about your company and whenever i need parts your company will be the only one i turn to again thanks. "Congratulations to the whole team at Brett's Truck Parts! Another great year of providing excellence in everything you do. First in 2012 and again in 2013, one of the top 5% of businesses rated by YOUR customers!" Hi there! I received my item today and would like to thank you for great service and quick delivery. I ordered thursday and arrived friday .I will for sure shop here again when i need to and recommend you to family, friends and clients. desk at 8:30am after placing my order at 4:45pm yesterday. Sensational. Just wanted to let you know that we are very impressed with both your customer service and your prices. Our order arrived promptly and the prices are excellent. We were quoted $50 from repco for one oil filter for our Isuzu FSR12. We purchased 2 oil filters and 6 fuel filters for the price of one oil filter at Repco. Your staff are also very helpful, knowledgeable and polite when we phone for enquiries. It is a pleasure doing business with you and will continue to support your business for our future needs. D & S Slashing & Tilt Tray Services. My order has been received and I thank you for your excellent service. I would just like to express our sincere gratitude to you for acting on our urgent order. We received the parcel on Friday & were amazed that it had arrived so soon. Usually it takes at least a week for parcels to come to rural NSW. I have completed the womo survey & will spread your business name to anyone I can. A brilliant service. Many thanks picked up wheel today mon 11/2/13. Perfect , easy to install and looks great, very happy with service. Anyways, have a questions for you. We ordered the FC 1104 filter right? Is that the same filer as the FC1115? well packaged and a bunch of goodies with it. Will shop through your business in future and will pass on your details to all my contacts. business with your company and certainly will not be the last. I just want to let you know about the great service I’ve had from you guys. I have been dealing with Warwick regarding a water pump that is no longer available in the UK at a reasonable price for my Yale 4Tonne fork lift truck. He has sorted it much quicker than any UK supplier could. It arrived today (yesterday to you). I would happily recommend your business to anyone looking for truck parts here in the UK. I am impressed by your effecency and quality of your service. yes I will be shopping using your company. I am sold!! !